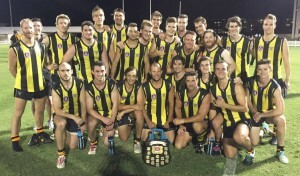 The Mayne Tigers withstood a mighty challenge at Yeronga last night by the Springwood Pumas to retain the Hart Sport Cup for another twelve months. 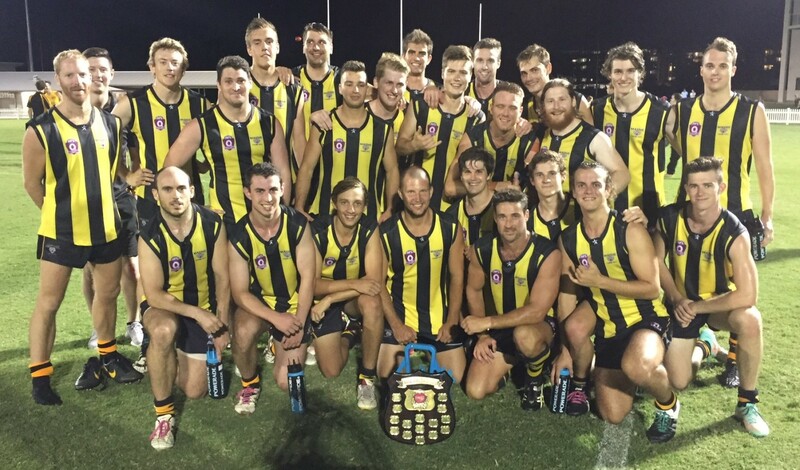 The much anticipated battle of the QFA North and South 2015 Premiers didn’t disappoint with both sides desperate to win the title of the best side in the QFA competitions. The Tigers went into the game with only nine players from the 2015 Premiership side with some notable absences including former coach Shaun Daly who has returned to the Albury Tigers as well as quite a few veterans who are holding things in reserve for the upcoming season. The Tigers stepped out of the blocks with the breeze with new coach Clint Brunnenmeyear kicking a major within the opening minute of the game. 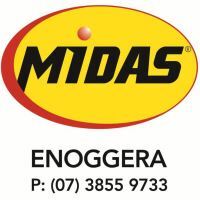 They went on to take a commanding three goal lead at the first break kicking five goals to two to take a commanding position. The second quarter saw equally good progress with the Tigers able to put themselves into strong positions to kick goals from consecutive set shots but the swirling conditions and cross breezes took their toll. The result being a supporter sapping five straight points to retain a three goal lead but the Pumas were far from done at that point with a wind assisted but ball bursting goal from veteran Greg Friis from inside the centre square keeping them in the game. The Tigers were being well served by a new young brigade who were determined to take this opportunity to impress very seriously while their older peers were enjoying the late start to their season. After the main break the Tigers radar was still out of service with another five straight points the only reward for continued effort while the Pumas continued to press away to wear down the early front runners. A kick on the siren by the fast finishing southerners put them in the lead by a margin of four points leaving the Tigers to lament their inaccuracy and hope that young and fresher legs might carry them home. Thankfully as the evening darkness descended the wind abated and the contest become an even poised affair with the challenge set for both sides to get a quick start. As had been hoped the work undertaken over the arduous preseason kicked in and the Tigers rallied. Finally a set shot by Josh Griffiths returned a major and the lead was regained but only to be snatched away again by a determined Puma team desperate to get their name on the silverware. It wasn’t to be as the Tigers gradually took the game away to lead by eleven points, a lead which was not going to be relinquished. It was an entertaining game with both sides putting a good foot forward in the first round of the pre-season competition and a very happy new coaching duo of Danny Craven and Clint Brunnenmeyer congratulating the new look Tiger outfit on their first blood for the year. The final Score was Mayne 8.17.65 d Springwood 8.6.54. The Tigers will go on to play Coorparoo next with a venue to be announced during the week as the remaining sides in the knockout Alpha Sports Competition seek to win a cache of booty if they can make it through to win their Pool. The competition will conclude on Saturday 19th March with the real season getting underway on the 9th April.